“The future of the chemical industry is the global migration to chemicals and chemical processes that improve the environmental impact of chemicals and reduce the negative health effects associated with chemicals and their production”. To say it in this exclusive interview with Il Bioeconomista is Virginia Klausmeier, founder and CEO of Sylvatex, the California-based company which has developed a renewable nano-chemistry platform that has applications in solutions for industry processing, materials stability, and fuels. Mrs Klausmeier, could you explain to us what is the main business of Sylvatex? Sylvatex upcycles low value plant-based inputs into high-value alternatives to petrochemicals. Our product platform – MicroX – replaces universal petroleum based emulsions with a technically superior, low cost and non-toxic system. The Product platform – MicroX – are nanoparticles made of plant materials, and engineered systems that manipulate chemicals, fabricate materials and structures, produce energy and enhance our environment by providing safer and better solutions. Sylvatex’s nanoparticle technology enables one to carry molecules into hydrophobic and hydrophilic environments that they would not normally have access to and also act a nano-reactor system to tailor desired targeted outcomes. Our IP-protected platform and growing database addresses multiple billion-dollar markets – from next-generation batteries materials, cleaning agents, fragrances to fuels while significantly reducing the toxic waste and carbon from industrial applications. 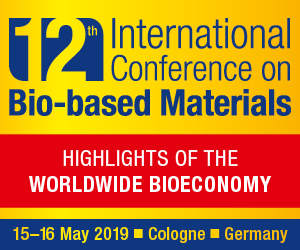 The bioeconomy is ecosystem of researchers, sciences and technology to convert sustainable, renewable biomass-based resources into high value added products to replace industrial processes that are carbon intensive, wasteful and environmentally harsh. 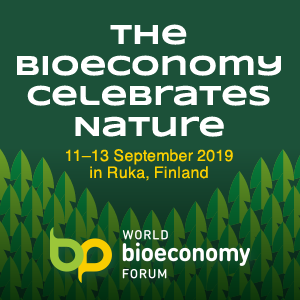 The bioeconomy is transitioning the global markets from the traditional carbon sources of petroleum to more renewable energy source and cleaner air for the future. As far as you’re concerned, is the future of the chemical industry really bio-based? The future of the chemical industry is the global migration to chemicals and chemical processes that improve the environmental impact of chemicals and reduce the negative health effects associated with chemicals and their production. 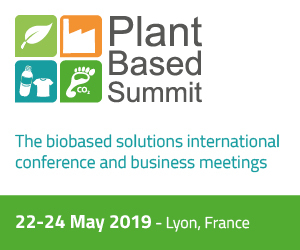 The industry is clearly moving to more sustainable solutions, and though bio-based may not be the only solution, it is leading the way towards more sustainable and environmentally friendly chemicals and processes. Greener chemistry practices in general are picking up substantially due to increased regulations and the industry is rapidly changing as an effect. This is tough question… I think that using consumer and everyday products that people know and understand is a start then focusing on chemical intermediates or processes that happen on up the supply chain. For example, we know we can use MicroX as an alternative to petroleum based diesel fuel, and since everyone knows diesel fuel create high tailpipe emissions when we say we can cut the black soot by 50% and have a fuel that is ~65% less carbon intense that is something people can understand…it is a cleaner burner, greener fuel without affecting you, the consumers, pocket book. On the other hand other applications that are to substitute out toxic material for MicroX in the process of making cathode material for lithium ion batteries…this application is a little harder to tangibilize to the everyday person how it will positively change the world. Sylvatex and Valicor Inc. have recently entered into a joint development agreement. Could you give us further details regarding this JDA? Both Trucent, formerly known as Valicor, and Sylvatex see that there is great value to upscaling low cost biomaterials into higher valuable products. The partnership grew out of the goal to create a low capital process that could be modular and easily bolt onto existing biofereinly assets. The current JDA will oversee the development, construction, and commercialization of Sylvatex’s “MicroXTM” technology, converting distillers corn oil (DCO) and other plant-based oil feedstocks into Sylvatex’s proprietary MicroX renewable blendstock. The JDA will also accelerate commercial scale engineering and expedite early market sales of the MicroX blendstock. Sylvatex and Trucent “share the commitment” to waste resource recovery and upcycling of biomaterials to create valuable solutions for industry. The company’s say that the partnership will benefit both the environment and stakeholders by repurposing materials, maximizing green chemistry processing by allowing for substantially lower production costs, and significantly reducing greenhouse gas (GHG) emissions. Both Sylvatex and Trucent expect to deploy this technology in partnership with ethanol producers as a way to increase the value of co- products and to provide diversification into other fuels and chemical markets. Trucent specialises in industrial uid reclamation and has developed programs to improve the process, yield and value of ethanol co-products including a proprietary protein platform and Corn Oil Separation System. The next step is to execute on the current JDA with Trucent to scale up the process and start making early market sales or MicroXTM. In parallel, we are also working toward expanding our platform technology to broader market opportunities in speciality chemicals and working with industry partnership to expedite these growing applications such as, processing material for li-ion batteries, animal nutrition, consumer products and others to market.